Looking to spice up your day? Well these Glazed Spicy Mexican Brownies just might do the trick. I should warn you though… you’re going to want to pour yourself a tall glass of milk while munching on them. Not because they’re dry, that couldn’t be farther from the truth. 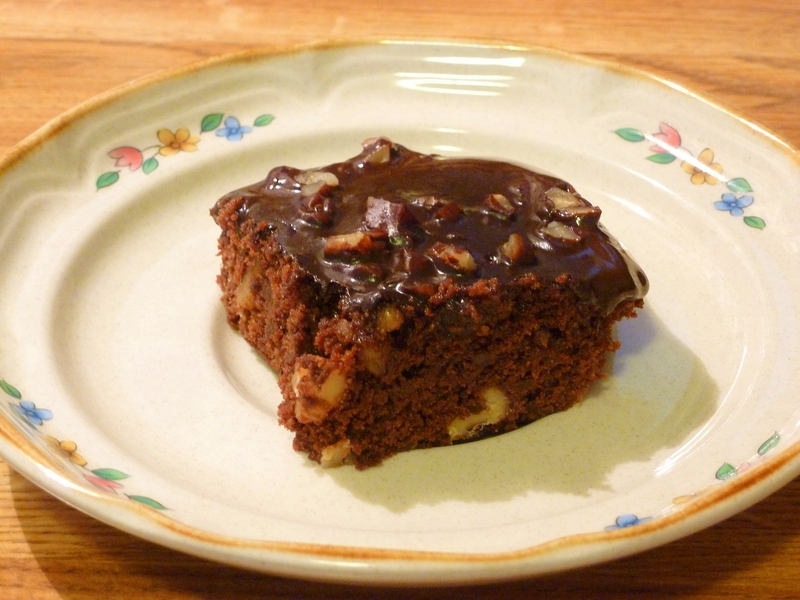 These are incredibly moist brownies. 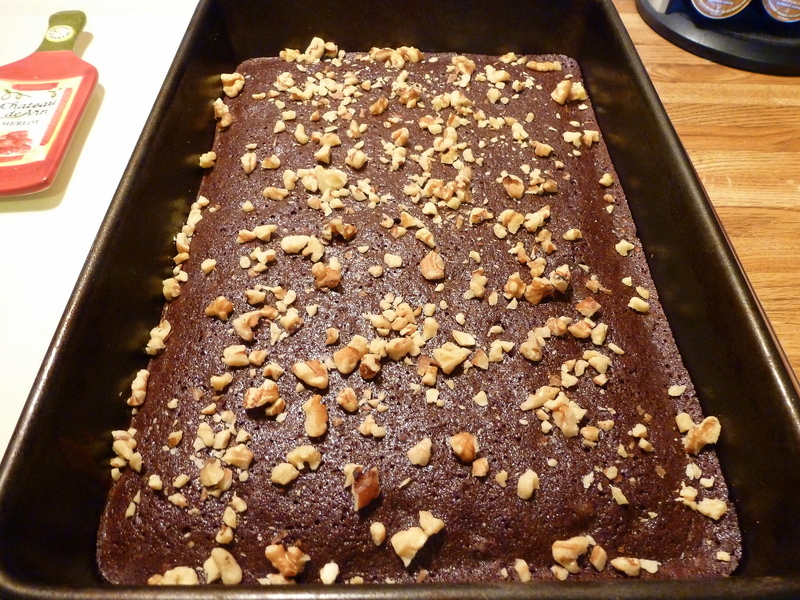 No, you’re going to want that glass of milk because these brownies are SPICY!!! 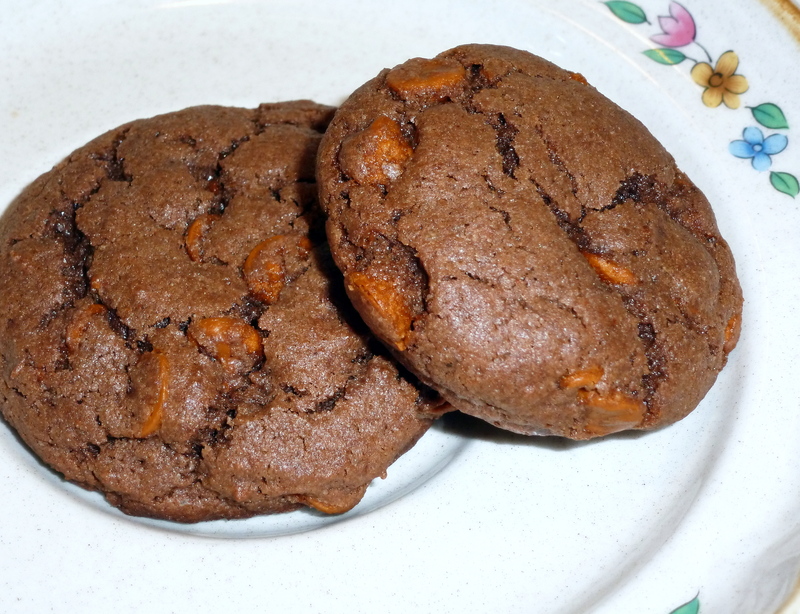 They’re rich, chocolaty, and spiced up with a generous dose of chili powder, cayenne pepper, and cinnamon. I would call these more of a “grown-up” brownie. If you’re planning on sharing them with the kids, I would suggest cutting back a bit on the spices – unless you have children who enjoy spicy food. Preheat oven to 350 degrees. Grease and flour a 9 x 13-inch baking pan. Place butter in a large microwave-safe bowl and microwave for approximately 30 seconds, until butter is melted. Let cool slightly. Add the sugar, eggs and vanilla extract to the bowl and mix with a spoon until combined. 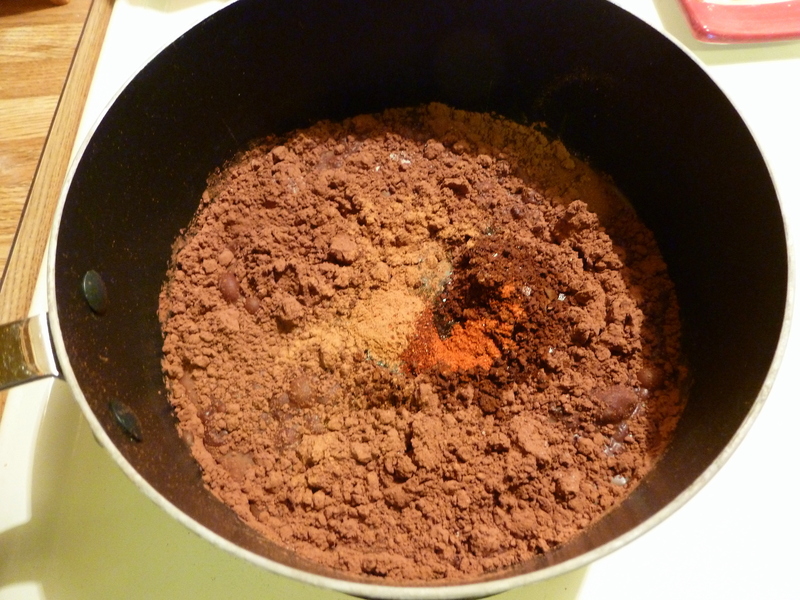 Add the cocoa, flour, cinnamon, chili powder, cayenne pepper, coffee granules, salt, and baking powder. Mix until the batter is nice and smooth. Fold in 1/2 cup of the chopped walnuts. Spread the batter into the prepared baking pan. Bake for 20-25 minutes, until a toothpick inserted in the middle comes out clean. Remove from oven and set on a wire rack. 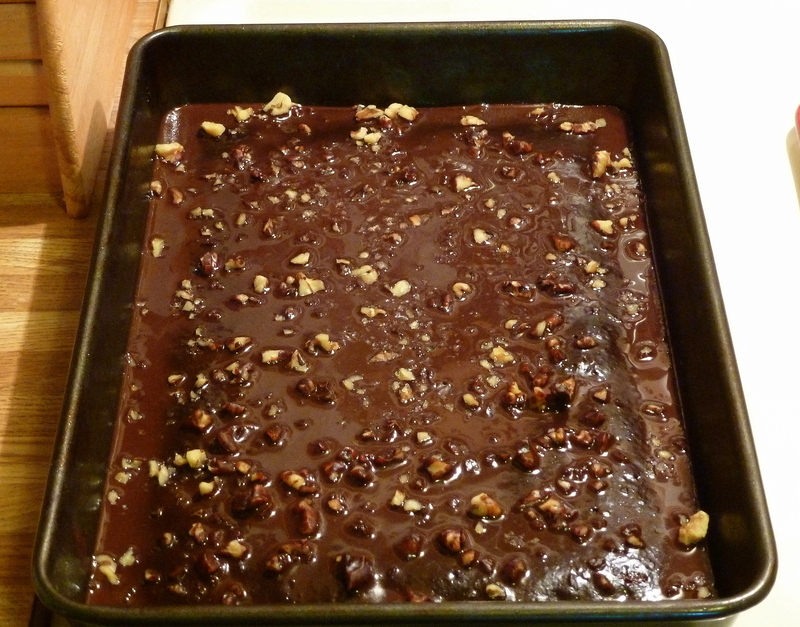 Sprinkle the remaining 1/4 cup chopped walnuts evenly over the top of the baked brownies. Set the burner to medium low heat. Cook and stir with a whisk until the sugar is dissolved and everything is well combined. Turn off the heat and let the mixture cool until it is still pourable. Spoon glaze over cool brownies. Let the glaze set before cutting brownies.